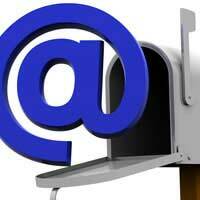 Home > Communication > Has Email Replaced Letter Writing? Email. We use it daily, check it regularly – some people check it obsessively. On a computer, on a smartphone like a BlackBerry or iPhone, it’s one of the main ways we communicate with other people. Now computers are so prevalent we use them to send documents, music, even pictures and videos, all attached to a short email note. Where we once wrote letters, now we drop people an email. But is it the same thing, just in a different form? No, it’s not. It takes a while to write a letter. You sit down with a blank sheet of paper and pour out your news – usually several weeks’ worth (if it’s a personal rather than a business letter, of course) since the last letter. Letter writing is an art, sometimes boring, sometimes exciting, but full of detail. For several centuries it was the main way people stayed in touch, especially those who’d moved elsewhere, whether to other parts of the country or abroad. Letter writing was a process that could take an hour or several days, depending on the length of the epistle. Letters were joyfully received and replies penned. They were saved and treasured and often handed down through families as keepsakes and histories. The transition to email wasn’t instant. It couldn’t be – only as computers became widespread could it become the prevalent medium. Of course, there are still plenty of people who prefer words on paper, especially among the older generation, but in a society that’s come to value instant gratification, the appeal of email - write it, click a button and it zips off to the recipient – makes a lot of sense. These days most people communicate by email. Asking for someone’s address means their email address, not house number and street name (it goes right along with the mobile number). The email address – and many people have several, including a number of easily portable web-based mail addresses – is printed on our business cards. Email means we’re in touch. You can check it on the road, from another country and reply – there’s no waiting until you’re home and seeing what the postman’s left. You can even email from your phone if it’s important. Personal letters were long things, but when was the last time you received a long, rambling email? They’re very rare, Instead they tend to be short notes with a brief bit of news, knocked off very quickly, often as we’re in the middle of several other things. They’ve changed the art of letter writing. How many people would want to save emails? Some are worthwhile, but they’re few and far between. Now, instead of going into depth, the way we did in letters, we skim the surface of things in order to finish and move on quickly. If we want to include details, we attach a picture or even a video. We communicate by email, but we rarely talk. Replies to questions are generally brief. Compared to letters, emails are little more than an exchange of notes – and for the most part, letter writing has fallen by the wayside. Personal letter writing is one thing, business letters are another. They’re ideally suited to the email format, being more formal and short. There’s no rambling, simply addressing the points involved. All email has done for business letters, really, is speed up the process, and made things easier by allowing documents and files to be attached, so business – especially global business, runs more efficiently. In that regard it’s been a boon – no more waiting several days for an airmail letter containing important contracts to arrive; they can speed to the other side of the world in seconds.